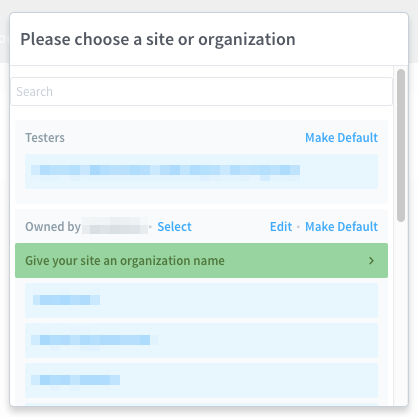 To add a new Site to Disqus within one of your existing Orgs, you'll want to register the site through the link in your Org level General Settings. First you'll need to go to your organizations general settings. If you are an admin for more than one org, you'll have to select which one you'll want to modify. Then, under Organization in the left rail, select General. After that, you can click Add in your basic organization information to create a new forum within that organization.